Wet and Wild Waterfall Action! 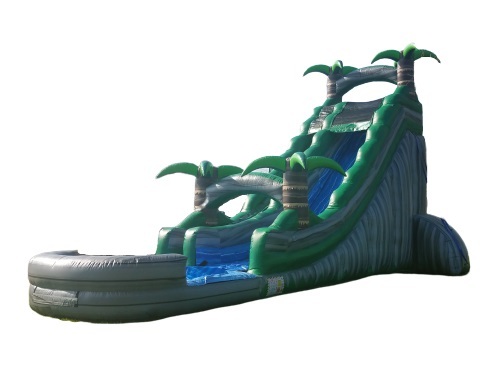 This Awesome 22ft Waterslide wil be the talk of the twon! 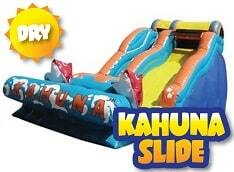 Riders climb up the ladder and then slide down the thrilling waterfall to the inflated splash pad at the bottom. An absolutely perfect way to cool off! The bright and colorful Tropical theme is a show stopper! Minimum space: 40L x 21W x 24H.